The number of consumers using a mobile device, including a smartphone and a tablet, to make payments has tripled in the last year, according to a new study from Visa. In our lead story, we take a closer look at the data. 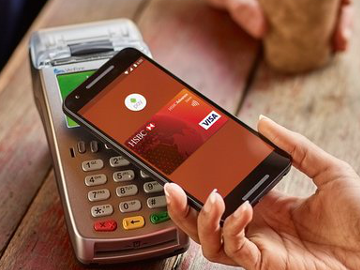 Elsewhere in the newsletter, Alipay selects its first UK mobile partner, Nationwide sends a contactless card into space and a guest post from ONPEX CEO looks at the exponential growth of e-commerce, explosion of payment technology and barriers that need to be overcome. The number of consumers using a mobile device, including a smartphone and a tablet, to make payments has tripled in the last year, according to a new study from Visa. Nationwide has carried out a contactless payment transaction 100,000 feet above the earth in extremely cold conditions. Alipay, the mobile payment platform run by Ant Financial Services Group, has partnered with Zapper, the consumer insights and marketing platform which is enabled by mobile payments.